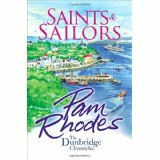 I've traveled on a joyful Christian journey to Iona, Guernsey, Scilly Isles and around other pieces of the British Isles with Pam Rhodes and congregants of Bishop of Bedford and his wife, Margaret in Saints & Sailors by Pam Rhodes. Amazingly, Pam Rhodes has written herself into this novel as a character. The Christian cruise is filled with the happy and sad moments of the passengers. It is also filled with quotes from the mouths of Christian saints. There are quotes from St. Columba, St. Ninian and St. David and Christian leaders like Charles Wesley. I could never tell all that happens on the sea trip. The book review would become too long. This is a small taste of it. http://www.theguardian.com Long ago I wished to leave "The house where I was born;" Long ago I used to grieve, My home seemed so forlorn. In other years, its silent rooms Were filled with haunting fears; Now, their very memory comes O'ercharged with tender tears. Life and marriage I have known. Things once deemed so bright; Now, how utterly is flown Every ray of light! 'Mid the unknown sea, of life I no blest isle have found; At last, through all its wild wave's strife, My bark is homeward bound. Farewell, dark and rolling deep! Farewell, foreign shore! Open, in unclouded sweep, Thou glorious realm before! Yet, though I had safely pass'd That weary, vexed main, One loved voice, through surge and blast Could call me back again. 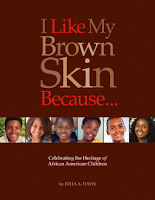 This is a good non-fiction book for children, young adults and any other groups. I am an adult. While reading it, I had a chance to rethink my values and meet a few famous people I had never known. This book is a way to learn how to cherish oneself. When parts of society decide you're worthless, you must have a way to heal yourself. The ultimate medicine is to love yourself at all times. One way to love yourself is to look at role models. It doesn't matter whether these role models are alive or dead. The only criteria, is that these people have served and have the desire to always help others. For example, the first two Black college presidents were Booker T. Washington and Mary McLeod Bethune. It doesn't seem like they ever had a thought about self. They always thought of teaching and serving people in and out of their surroundings. With this goal in mind, they didn't allow obstacles to stop them. I've visited the White House. So long ago it's indecent to write the year I visited it. Unfortunately, I remember the rooms more than the gardens. At that time, I didn't know about my sister's Green Thumb. 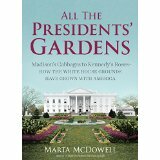 When she moved to a country setting, I saw her raise beautiful annuals and perennials like petunias, zinnias and geraniums. Still, I had my mind more on boys than on flowers. Not until I returned home did it hit me. The wonderful passion for houseplants. We didn't have a lawn in the city. I had two bedroom windows. One faced east. One faced north. Plus, there were wonderful stores especially the Five and Dime. There you could find the ordinary and the exotic indoor plants. "When Mark glanced towards Jill a few minutes later, he was alarmed to see her absent-mindedly scratching the back of her hand until her skin looked red and raw. Still Rob didn't come, not even after the time it took for Pete and Callum to help her mother into a nearby seat. 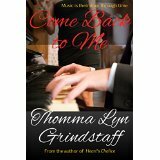 Jill's scratching became more and more frantic." "What an evening, playing to a packed house at the Down Beat. Annasophia hoped she'd given the audience what they'd come for and more. When she sat at the piano and played and sang, it wasn't as much as she performed her music as her music performed through her. The feeling, always heady, intoxicated her audience as much as it intoxicated her. Yes, mutually drunk on music." 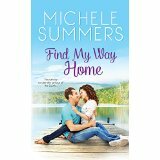 "Find My Way Home" is the first Romance novel I've read by Michele Summers. At first, the obscene language made me upset. 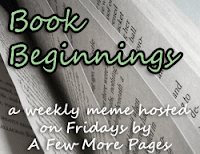 I quickly decided 'I'm not going to like this book.' These four letter words mixed with the mention of a church made me really stutter and wonder. Anyway, because of the small town, Harmony, I continued to read more chapters.I loved the small place where doors didn't need a lock. I also liked the complex relationships. These relationships seemed so real. I really felt sorry for Keith. He bites his teeth because of his many problems. Poor guy, he lost his wife and the mother of Maddie in a car crash. He's a cautious and good father. However, there is the relationship with his mother. It is far from perfect. Can it even be called a relationship? Since he left home at thirteen years old, he talks about his mother like she's a stranger. This book takes place in Ghana, Africa. I was astounded at the beauty of the Flamboyant tree. Silly me, I thought the word "Flamboyant" was a misspelled word. This beautiful tree is indeed named Flamboyant. "What made her think he was even remotely gay when he blasted such a high voltage of testosterone it practically knocked her into the next county? "...football player?" 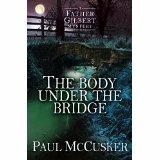 The Body Under The Bridge by Paul McCusker is a church mystery far different from other church mysteries I've read in the past. In this one, Father Gilbert of Saint Mark's has a disturbing dream. In the dream, a man hangs himself. Then, in real life the same situation occurs involving Colin Doyle. His wife comes home to find her husband hanging. It is impossible to drag him down from the rope. In the dream, there is also the foot of a body found. Someone must have drowned the body or brought the body to its present place dead already. The body is two hundred years old. These mysterious incidents will connect. There is a feud of two families from the past. 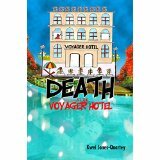 Anyway, the novel took me back and forth in history to the present while following a "bog body." So painful to read about Sweetness's feelings about a dark colored baby in God Help The Child by Toni Morrison. In the end, Sweetness wonders whether Bride's Booker will feel that way if their newborn is "blue black." Ouch. There are so many types of racism in this life. A race's own hatred of self, color of skin, is one type. Because of her negative feelings about color, I wanted to see Sweetness grow. I felt as though Booker, Bride and Queen claimed the spotlight along with Booker's murdered brother who, of course, had to play a significant role. In the end, I didn't feel Sweetness really changed. I think she wanted to change. Bride seemed to feel that society must begin to change first. Then, she could fit her new, positive feelings into the circle of life. I was left with the feeling that once a racist always a racist. I do have to call Sweetness a dangerous racist. Her feelings enter the realms of family, our most sacred place for relationships.